The movie looks to be one that talks about protests and the rights of those who are denied land. Superstar Rajinikanth's much-awaited Kaala is all set to release. 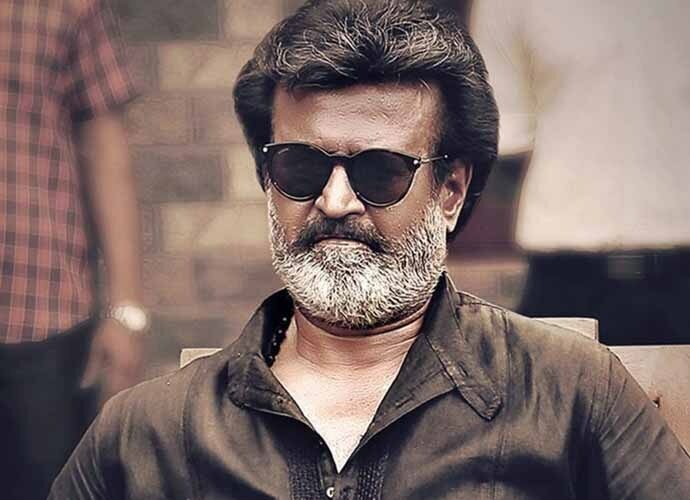 But the movie is unlikely to have a smooth sailing with film director Pa Ranjith and superstar Rajinikanth making certain controversial statements regarding the Tuticorin protests in Tamil Nadu, which have not gone down too well with the people. Rajinikanth had sparked a controversy over his statement that seemed to justify police firing that killed 13 people demanding closure of the Sterlite copper smelter plant. The superstar's decision to hold "anti-social elements" responsible for the violence was seen to echo the ruling AIADMK government's line, and left people fuming. Rajinikanth had also gone on to say that protests are turning Tamil Nadu into a graveyard. The superstar has since apologised saying he did not intend to hurt people's sentiments. The statement from the actor assumed greater importance in the wake of the fact that Rajinikanth has announced his decision to join mainstream politics. The remarks from Rajinikanth also drew criticism from political parties in Tamil Nadu, who branded Rajinikanth a BJP supporter. "Naan thaan pa Rajinikanth" (I am only Rajinikanth) hashtag has been trending on social media and for a reason. When Rajinikanth visited the injured in Tuticorin, a student activist angrily asked what he had done for the anti-Sterlite movement. A smiling Rajinikanth replied, "naan thaan pa Rajinikanth". Using the hashtag, people criticised Rajinikanth for echoing the voices of the state and central governments, accusing him of showing his true colours. Some went to the extent of branding him as a proxy for the BJP on social media. What is happening in Tamil Nadu is an integration of all Tamil fringe groups and parties under the leadership of DMK. This umbrella group is an anti-AIADMK and anti-BJP movement to prepare for the 2019 general elections. It is thus not surprising that Rajinikanth drew enormous flak for his statements. Soon there were messages asking people to boycott the movie Kaala produced by Rajinikanth's son-in-law and actor Dhanush. This was when Pa Ranjith, who is seen as a popular Dalit face in Tamil Nadu, came to Rajinikanth's defence. He clarified that Rajinikanth never said that protests should not happen. "He only said that it pained him to see people getting affected during protest," Ranjith said. This defence by Ranjith, who is revered for his powerful movies like Kabali and Madras, has made activists accuse him of trying to save Kaala. Ranjith had also expressed his views openly during Jallikattu and other protests in Tamil Nadu. In fact, he was the first to react on Sterlite protests on social media. Ranjith had hit out at the state government for supporting a corporate. The tweet read, "Government has never been for the people. Government is about violence, power and terrorism. The government will never be bothered about corporates sucking the land, water and blood of people. Government knows that lack of memory of its people." After this strong statement, Ranjith standing in defence of Rajinikanth's views on anti-Sterlite protests, did come as a shock. His movies have always reflected the struggle of the downtrodden. In Kabali, he had highlighted the issues of the marginalised Tamils in Malaysia. But the movie had many references to the Dalit struggle. The opening of the movie showed Rajinikanth holding the book My Father Baliah by Dalit thinker YB Sathyanarayana. Similarly, Rajinikanth was cast in full suit reminding one of BR Ambedkar. The movie had mentions of the people's movement for liberation. Similarly, going by the trailer of Kaala, the movie looks to be one that talks about protests and the rights of those who are denied land. The movie is set in Mumbai's Dharavi with Rajinikanth using Tirunelveli slangs. There is a dialogue in which Rajinikanth addresses a crowd, "This body is the only weapon we have. We will show this to the world. Gather people." Anti-Sterlite protesters say this is precisely what they did during the protest. For Rajinikanth, both Kabali and Kaala were totally different genres compared to his rags to riches hero stories. Even as people were fuming against Rajinikanth for justifying police firing in Tuticorin, makers of the movie went into damage control mode today June 1. They released a trailer showing a powerful action sequence of Rajinikanth. 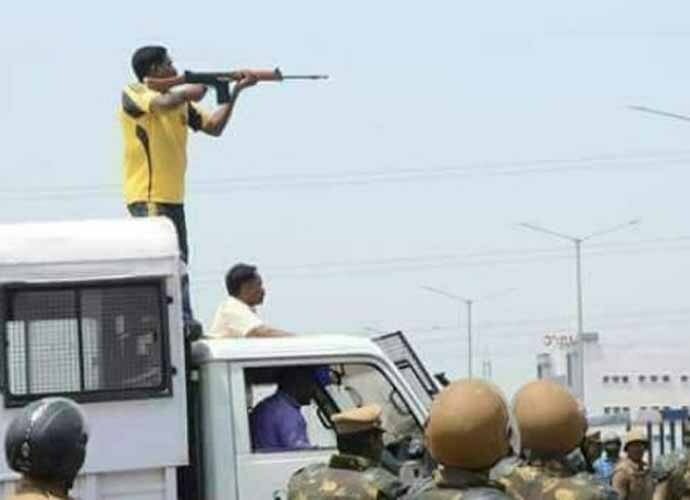 A scene also shows firing from police weapons much like what we saw in Tuticorin. The move is aimed at convincing people that Rajnikanth is on the side of the protesters. A spiritual person in reality, who is always seen on and off camera with a rudraksh, these two movies fitted into the ideologies of Pa Ranjith, an atheist and activist at heart. Kaala is a movie that people of Tamil Nadu would probably relate to but for this statement by Rajinikanth. With two different views of the director and larger than life hero, Kaala is probably at crossroads now. Many may wonder why can't movies and political views be seen separately, but Tamil Nadu and its people can't see the difference.